Our October 2018 premium boxes focused on ink. 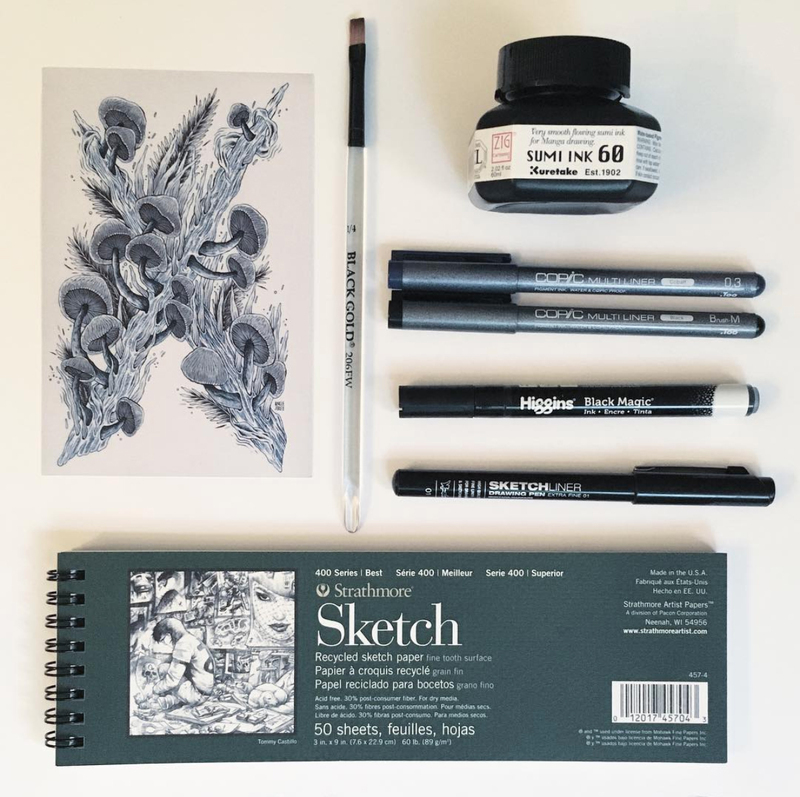 It included a bottle of Zig Sumi Ink 60, a Dynasty Black and Gold 1/4" flat brush, a Copic Multiliner brush in black, a Copic Multiliner .3mm in Cobalt, a Higgins Black Magic with a 1mm bullet nib, a Montana Sketchliner .1mm in black, and a Strathmore Sketch Paper Pad 3x9". This picture was taken by our talented subscriber @olivinepine check out their art on instagram!